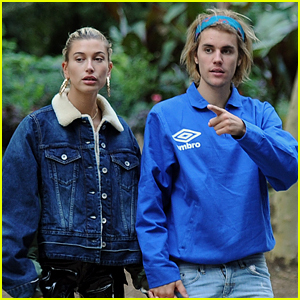 Justin Bieber Shares Glimpse of ‘Married Life’ With Hailey Bieber | Hailey Baldwin, Justin Bieber | Just Jared Jr.
Justin Bieber is updating fans on married life with wife Hailey Bieber! The 25-year-old singer was seen while heading out of the couple’s apartment on Tuesday (March 12) in New York City. That same day, Justin shared some Instagram stories as he teased Hailey in their car. “Marriage…she doesn’t pay attention to me, do ya?” Justin joked while Hailey hid from the camera. “Married life. She doesn’t even love me no more,” Justin later added, before Hailey attacked him with cute kisses. 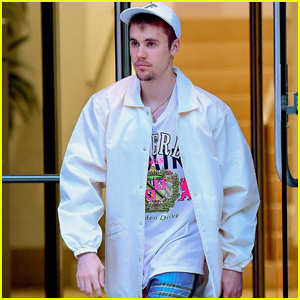 FYI: Justin is wearing a Fear of God Essentials jacket.